Last year we started to sum up the national champions in Europe as far we could figure out who those teams were. This year, we’ll give it another try. After the Attnang-Puchheim Athletics dominated Austrian baseball in 2016 and 2017, the Alpine country in Central Europe has a new champion. The Vienna Metro Stars beat the Dornbirn Indians 4-2 in the best of seven championship series to clinch their record-breaking 14th Austrian title. Last Sunday, the Borgerhout Squirrels forced a decisive fifth game in the Belgian championship series vs their neighbor Deurne Spartans. The Squirrels, who finished on top of the standings after the regular season, could not utilize their home field advantage. 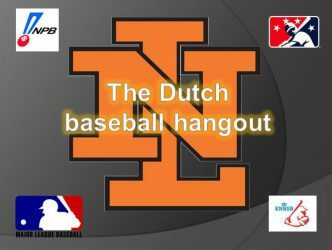 In a pitching duel between Borgerhout’s Kenny van den Branden and Deurne’s Gerdel Nieto Anderson, the Squirrels took a slim 1-0 lead in the third inning. For the next three innings, Van den Branden could keep the Spartans at bay but eventually, in the seventh inning, the defense of the Squirrels collapsed and the Spartans scored six runs. After the Spartans scored two more runs in the top of the ninth, the Squirrels rallied for three runs but that was all they could. With this win, the Spartans clinched their third championship in four years. A new champion in Bulgaria. After the Blagoevgrad Buffaloes dominated Bulgarian baseball in the past four years, the Sofia Blues beat the former champion in four games of a best of five series. In the championship-clinching game, Dimitar Nassapov took the mound as his team trailed 3-1 with a bases-loaded jam in the second inning. He got out of the inning and also hit a solo home run and drew three walks. Nassaparov limited the Buffaloes to three hits in six shutout innings as the Blues beat the Buffaloes 13-3 for their second Bulgarian title. Olimpija Karlovac has won the Croatian Baseball Championship this year. They defeated Nada SM Split 14-4 in the decisive seventh game of the final series on Sunday to win the Croatian title. For the second time in three years, the Czech Republic has a champion other than Draci (Dragons) Brno. This year Arrows Ostrava beat the reigning champion Draci in four games of a best of five series. The Arrows beat Draci 5-3 in the championship clincher. In the six-team Danish Baseball League, the Aarhus Athletics finished on top of the standings with a 9-1 record to clinch the Danish championship. The six teams were supposed to play ten games each, a home and a road game vs each opponent, but three teams didn’t play the ten games. One only played four (3-1 record), one played six (3-3 record) and one played eight (5-3 record). For the first time in fifteen years, the Espoo Expos were not in the final of the Finnish championship. This year it was an all Helsinki championship series as the Helsinki Mets and the Helsinki Puumat faced each other. In this best of five series, the Mets swept the Puumat 22-0, 10-0 and 12-7. A surprising winner in 2018 and yet not. The multiple French champions Rouen Huskies finished the regular season in fourth place behind the Templiers de Sénart, the Montpellier Barracudas and the Montigny Cougars. But nevertheless, the team from Normandy swept its way through the playoffs to face the Montigny Cougars in the championship series. And also in the championship series, the Huskies were too strong as they clinched their fourteenth French championship. For the first time in their history, the Bonn Capitals clinched the German title. In a best of five series the team from the former (West) German capital won the first game, then lost two in Heidenheim vs the Heideköpfe and then won the fourth game in Bonn again to force a fifth game that was won 7-5. But this championship series might not be over yet as the Heideköpfe filed a protest in game four as result of an umpire interference. It is up to the German Baseball Federation (DBV) to decide if the protest is sustained or not. The London Mets wrote history to win its fifth British national title as it became the only Britsh club to accomplish this feat. This year’s win was their second in a row. In a best of three series, the Mets totally dominated the Herts Falcons as they won both games in mercy rule fashion. The Dublin City Hurricanes clinched their fourth consecutive Irish title as they swept the Greystone Mariners in a best of three series. The Hurricanes won game one 15-5 and game two 21-15. In the Italian Serie A1, Fortitudo Bologna clinched the championship after beating surprising finalist Parmaclima Parma 3-1. The championship had a Dutch contribution too as Gilmer Lampe played for Bologna. 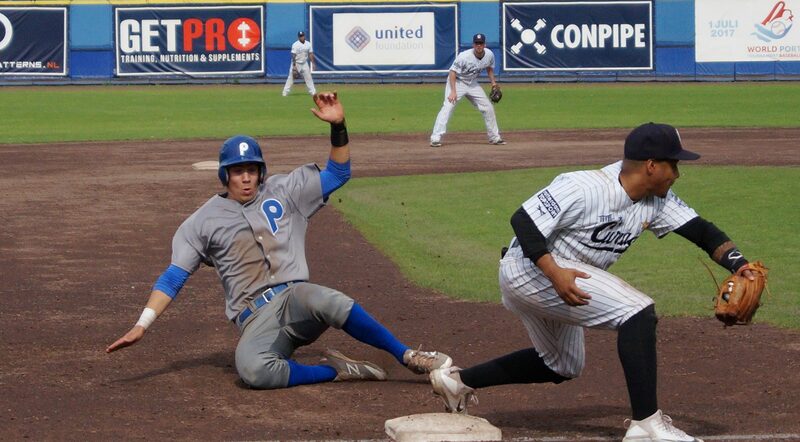 No surprise in the Netherlands as Curaçao Neptunus won its sixth consecutive championship by beating L&D Amsterdam Pirates 4-2 in a best of seven series. After the first two games, things looked a bit gloomy for Neptunus as Amsterdam was better than their Rotterdam opponent but in the next games, Neptunus refound itself and won four in a row to clinch their nineteenth Dutch championship. Even though the Oslo Pretenders have been dominating Norwegian baseball in the past years, the final against the Bergen Wet Sox wasn’t far from a walkover. At some point in the game, the Wet Sox even took a 3-2 lead thanks to an arbitrational error but eventually the Oslo Pretenders prevailed and won 5-3 to clinch their 21st Norwegian title. A new champion in Poland. Stal Kutno finished on top of the standings after twenty games with a 15-5 record with a three-game lead over Deby Osielsko and last year’s champion Silesia Rybnik (both with a 12-8 record). The Tenerife Marlins won the Spanish championship in dominating fashion. The Spanish Division de Honor is one of the few leagues that doesn’t finish the season with a championship series. The Tenerife Marlins won 26 of the 28 games it played, finishing on top of the standings, leading the runner-up Astros Valencia by five games. The Leksand Lumberjacks won the 2018 Swedish baseball title by beating the Sölvesborg Firehawks 3-1 in a best of five series. After the Lumberjacks lost the first game in seven innings (10-0) the club rebounded by winning the next three. Baseball hotbed Leksand has won 22 championships now. In a decisive fifth game, the Zürich Challengers beat the Therwil Flyers to take the Swiss baseball championship. 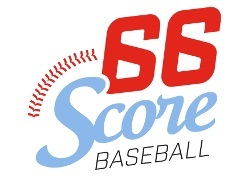 The Challengers took a 9-3 lead but the Flyers fought their way back to tie the game at nine in the eighth inning. A two-run home run in the ninth inning gave the Challengers a decisive lead. The first baseball club of Switzerland won its ninth Swiss championship since the inaugural season of the Swiss National Liga in 1982.